One of my favorite restaurants in Louisiana has a Cream of Crab and Brie Soup that is out of this world. Another of my favorite restaurants has a Cream of Crab and Asparagus Soup that I also love. Of course (you know me! ), I went home and poured through all my cookbooks looking for something comparable. I ended up taking several recipes, modifying them and came up with this one. You can make it with the brie, or not, and you can make it with the asparagus, or not! It's up to you. Either way you decide to go, this is a soup that is absolutely wonderful. Serve it as the main dish with some buttered french bread and a salad or as a side to a different main course like crab cakes. It's heaven in a bowl! Melt butter in a dutch oven/pot over medium heat. Sprinkle in flour, stirring constantly, until a blond roux is achieved, about 6-8 minutes. Add onions, garlic and optional asparagus tips. Sauté 5-10 minutes or until vegetables are tender. Carefully add the white wine and brandy. Stir constantly, scraping the bottom of the pan. Gradually blend in seafood stock. Add cream and blend. Bring to a gentle boil. Be careful not to scorch. Reduce heat to simmer. Cook for 30 minutes until reduced to a thick, velvety texture. Add brie; stir constantly until cheese melts. Gently fold in crabmeat. Cook an additional 5 minutes. Add cayenne, black and white pepper. Season to taste with salt and/or Tony’s. This soup looks incredibly delicious! Love all of the ingredients and can't wait to try it! Thanks for the great recipe and for stopping by! 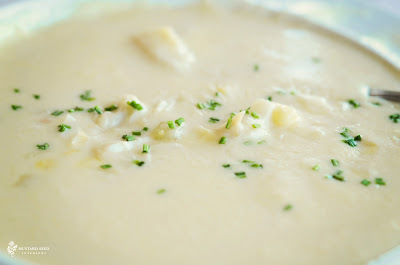 I just had a bowl of brie and crabmeat soup at a local restaurant here in Baton Rouge, Louisiana, and it was fantastic! As soon as I came home, I immediately began a search on how to prepare it. Your recipe is the closest I've found and looks delicious! Can shrimp be substituted for the crabmeat? Would it change the flavor of the soup too much from the original? Can't wait to make this for my Christmas guests! Ιt's hard to come by experienced people in this particular topic, but you sound like you know what you're talking about! Loved this soup. Took me a while to prepare but I wanted to make sure I didn't mess up my expensive crab meat. Well worth the wait. Thanks so much! This turned out amazing! Your recipe was off the chain, better than anywhere I've had it!